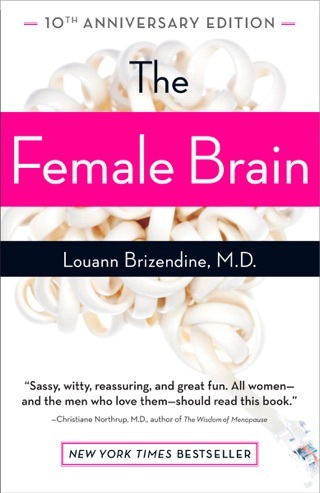 In this utterly fascinating follow-up to her bestselling The Female Brain, Harvard neuropsychiatrist Brizendine leads readers through the lifespan of a man's brain, using lively prose and personable anecdotes to turn complex scientific research into a highly accessible romp. Among other salient info, readers will learn why it is what young boys seem unable to stay still (they are learning through "embodied cognition"); why behaviors may change so suddenly during puberty (among other changes, testosterone increases 20-fold); the nature of irritability in teens ("boys' hormones prime them for aggressive and territorial behaviors"); and the ways in which chemicals, physical touch, and play bond fathers with their children. 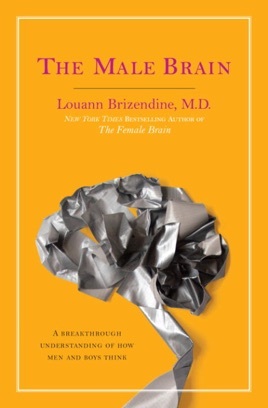 With clearly detailed scientific explanations for how characteristics like anger expression, analysis of facial expression, and spatial manipulation differ between the sexes, Brizendine's review of brain and behavioral research should net a broad audience, from parents of boys to psychology students to fans of her first volume. Brizendine also includes an appendix regarding the brain and sexual orientation, as well as lengthy endnotes and an exhaustive reference list. More Books by Louann Brizendine, M.D.